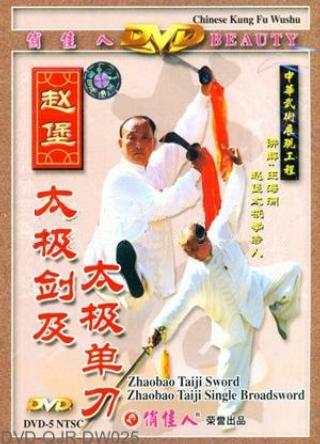 Zhaobao Taiji Sword consists of 57 free-flowing interconnected circular movements in which the sword is driven by the movement of body, feet and hands. Zhaobao Taiji Broadsword has only 20 movements. When you cleave forward you should pay attention to the attacks from behind, blocking both left and right. Broadsword develops flexibility, is easy to carry and suitable for people of different ages.